There is no progress without mobility. Mobility is a key factor for both economic growth and safe, social and climate-friendly development. 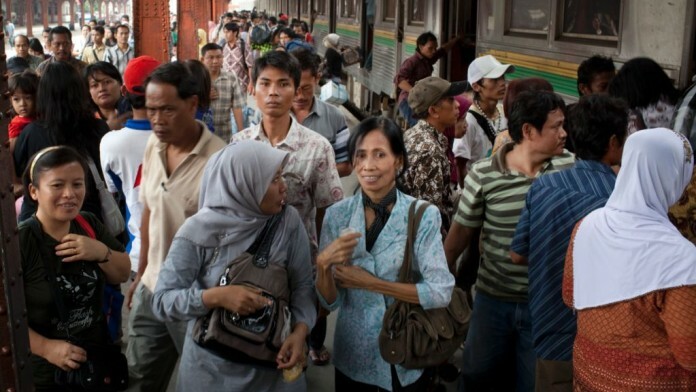 Not only is well-developed transport infrastructure essential for exchanging goods; it also connects people and gives them access to jobs and basic services such as education and healthcare. Transport infrastructure also forms the backbone of other supply services, such electricity and water pipes, which generally run along main roads. In addition to the expansion of rural roads and long-distance transport, there is particular need for action in cities. The transport sector is the fastest-growing emitter of greenhouse gases, nowadays urban transport in OECD cities alone accounts already for one quarter of greenhouse gas emissions. In view of the rapidly growing vehicle ownership rates in developing and emerging countries, this share will increase significantly globally. The critical traffic condition in cities does not just have a negative impact on the environment; it also puts people’s health at risk, reduces the overall quality of life and is detrimental to the economy. In view of this situation, KfW is promoting projects worldwide, aiming to improve urban transport, expand rural roads and support the economy on account of better long-distance and freight transport. Inadequate transport infrastructure in rural areas is evident when farmers need longer than their commodities’ shelf life to get to the nearest market, or when transport costs exceed the value of the product. As people living in rural areas are often cut off from the nearest economic center, a lack of availability or access to transport infrastructure is a major obstacle with respect to overcoming poverty and generating prosperity. Lack of rural transport makes it difficult to provide farmers with consumables; at the same time agricultural products do not find their way into sales markets. This conversely means that investments in better rural transport infrastructure can contribute directly to alleviating poverty and improving overall living conditions. In most cases, operating costs will be cut, goods will become more competitive and more affordable, jobs will be created – and prosperity will increase. Better transport also translates into regular school attendance and faster access to healthcare in remote regions. Women and children in particular benefit from this development. Children – and girls in particular – will only be able to attend school if they have a safe and quick access to schools. Women frequently travel long distances, often by foot, simply to provide for their families. For them, better transport facilities offer above all huge time and cost savings. Streets and roads form the basis of rural development, the participation of people and the eradication of poverty. This is precisely why KfW Development Bank is promoting well developed roads and streets that can be used all year round in order to facilitate the exchange of goods, to safeguard the food supply to cities and to give prospects to rural production, among other things. Cities need special attention. They are networking hubs, where people have to be mobile and goods transported. Only an efficient urban transport infrastructure can help society to develop and the economy to thrive. Urban transport needs to be sustainable and affordable for the poorer inhabitants, for whom travelling around the city is usually very difficult and expensive. Inversely, improved mobility enables them to access education and healthcare services and increases their employment opportunities. Fewer and shorter journeys, as well as the shift from personal transport to local public transport, also reduce the emission of exhaust gases that are damaging to both human health and climate. Carefully planned traffic routing and the creation of cycle lanes and pavements reduce the risk of accidents, particularly for non-motorised road users who are usually poorer people. In order to design urban traffic infrastructure that benefits all, a forward-looking, integrated urban planning is necessary. Once land is already built up and sealed, high-performing local public transport can only be integrated with much higher efforts and costs. On behalf of the German Federal Government, KfW supports its partners in developing and emerging countries to plan, finance and implement sustainable mobility concepts. This strengthens public and non-motorised transport, thus reducing the amount of greenhouse gas and other harmful emissions as well as the number of accidents. At the same time, this improves resource efficiency and safety. Cities become more attractive to their citizens, and to investors as economic locations too.